One of GM’s self-driving cars. General Motors has agreed to settle a lawsuit filed by a motorcyclist who alleged in January that one of the automaker’s self-driving Chevy Bolts knocked him off his bike in a California crash. The settlement for the case, the first known to involve an autonomous car crash, comes as GM moves to quickly accelerate the development of its self-driving technology. The accident dates to early December, when California resident Oscar Nilsson claimed he was riding behind one of GM’s autonomous Bolts when, suddenly, the car veered into his lane and knocked him to the ground. A safety driver was at the wheel of the Bolt during the Dec. 7 crash, according to the complaint, which happened in downtown San Francisco. Nevertheless, Nilsson said in the suit that the accident required him to take disability leave for shoulder and neck injuries. His complaint represented the first lawsuit to be filed over a crash involving a self-driving car, at a time when many questions remain unanswered over who should be held liable in a crash. “The parties anticipate finalizing all details and filing a joint stipulation for dismissal with prejudice within thirty (30) days, or before June 29, 2018,” the filing said. The settlement puts aside a possibly thorny legal issue for GM as the automaker moves to speed up the development of its autonomous car technology. The company received a major endorsement Thursday from technology investment firm SoftBank Vision Fund, which announced plans to invest $2.25 billion in GM’s self-driving car division. 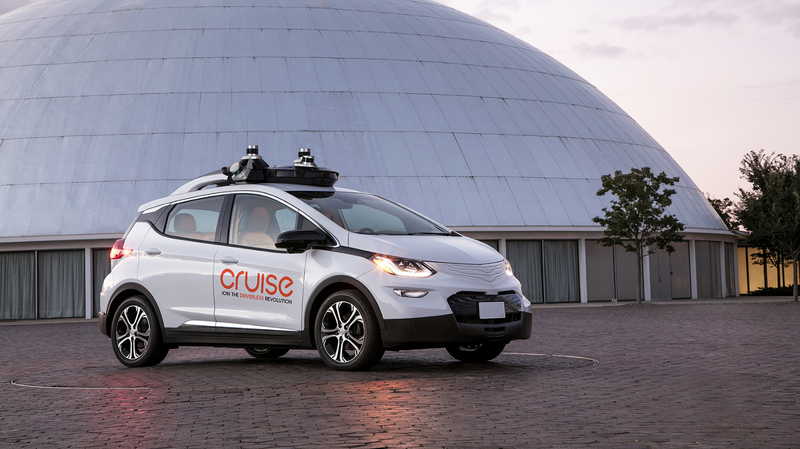 GM kicked off 2018 with the introduction of a driverless Bolt that has no brakes or a steering wheel, and said it wants to deploy the cars for a driverless ride-hailing service by 2019. It’ll have to overcome immense concerns from the general public, which remains skeptical of autonomous vehicles, even more so after recent fatal crashes involving a self-driving Uber and a semi-autonomous Tesla Model X. A week after the deadly Uber crash, one of GM’s Bolts received a ticket in San Francisco for being too close to a pedestrian.